This week our business has been visited by senior execs from our parent company Orbitz, including our VP Global Media Kit Simon and CEO & President, Barney Harford. 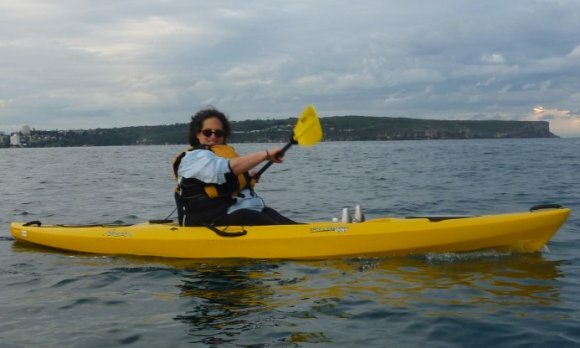 In an effort to get our visitors and HotelClub executives out of the office for a few hours, I put together a session on the water with the help of Sydney Harbour Kayaks. Cruising past Chinaman's Beach. A little less stuffy than the boardroom! 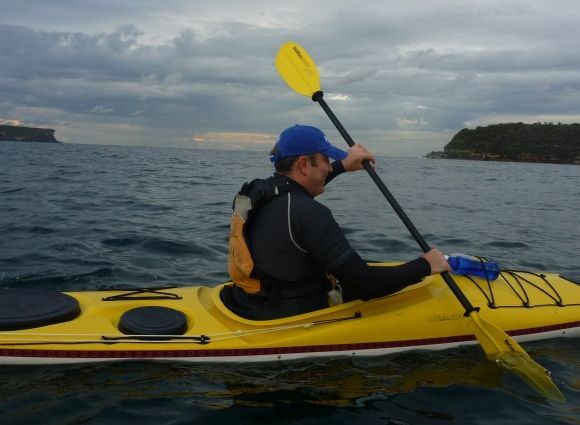 We’d somehow managed to find the only day this week that didn’t pour with rain, and kitted out with sea kayaks and wet weather gear, the paddlers set out towards Middle Head. 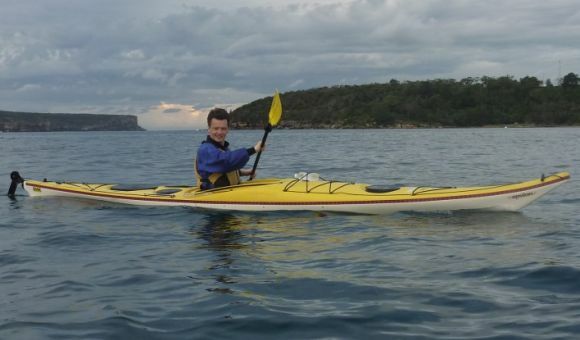 With Barney and HotelClub President Jeremy Bellinghausen leading the way, the small armada hugged the western shoreline of Hunters Bay on route to Grotto Point, pausing occasionally to look more closely at the rocky shoreline. 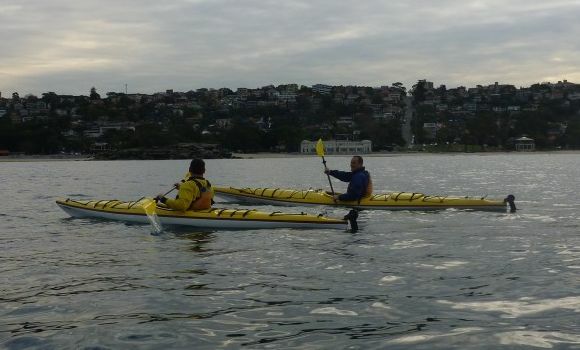 I had spied a couple of stingrays whilst out on the paddle, but a couple of the other paddlers saw what looked initially like a shark, then as we got closer more like a seal. 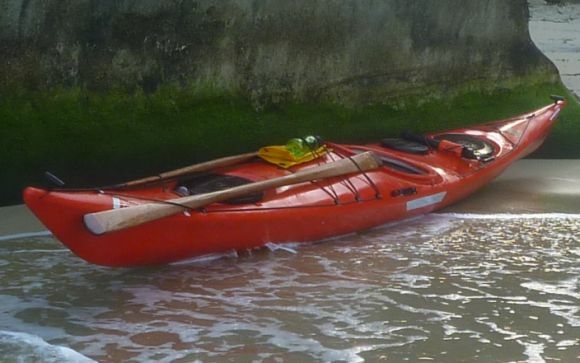 When a head popped up with a snorkle and goggles on, I’m not sure who was the most surprised, but there were a few relieved faces on the water when they realised it was only a “friendly”. 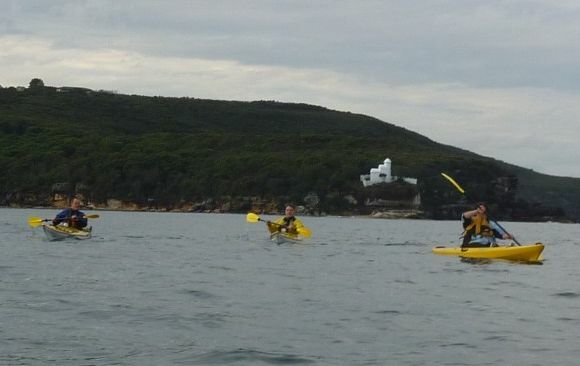 Finally the group passed Grotto Point and paused to take in the view of Sydney Heads. 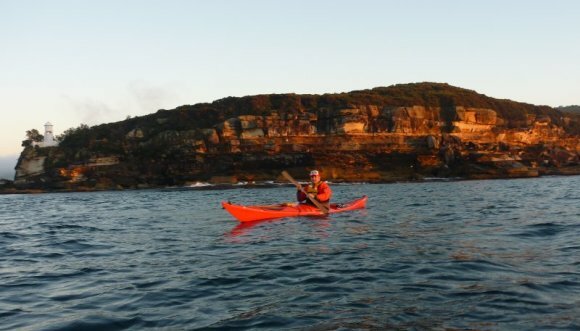 With almost no ocean swell, the conditions were perfect to take in the sight of the rocky cliffs, and the paddlers were able to enjoy the view on Sydney’s famous waterway. Kit pausing in front of North Head. Calmest day in weeks! 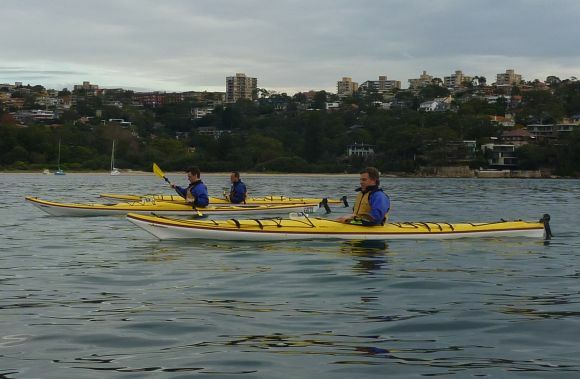 With time marching on, we turned and paddled into Balmoral Beach where we paused for a well-earned coffee, before climbing back into the kayaks for the return trip to The Spit. Despite conversations on scintillating subjects such as the effects of different currency fluctuations on cost/revenue models (!! 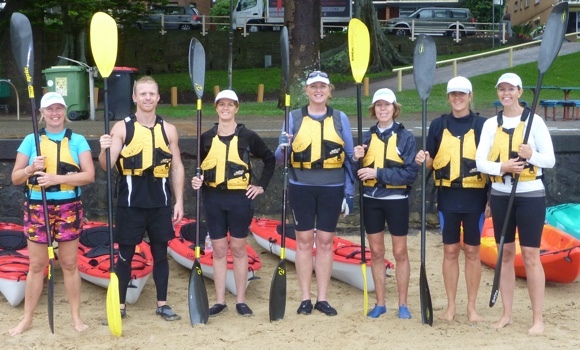 ), the paddlers seemed to enjoy the opportunity to talk business outdoors and to get a few hours away from the office. In all a very nice way to spend a Monday afternoon! 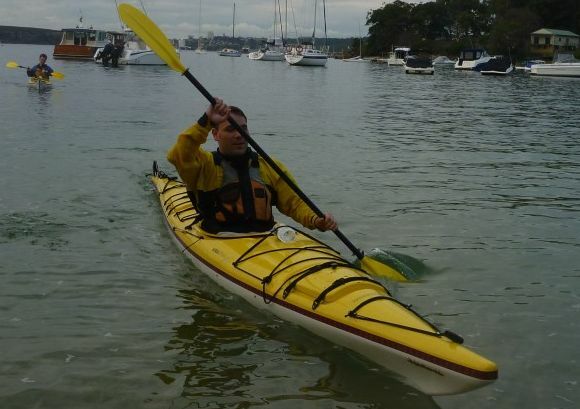 A special thanks must go to Sydney Harbour Kayaks who were instrumental in this great afternoon. Their care and assistance setting everyone up in their boats and again getting everyone into cabs and away during peak hour traffic was greatly appreciated by all. 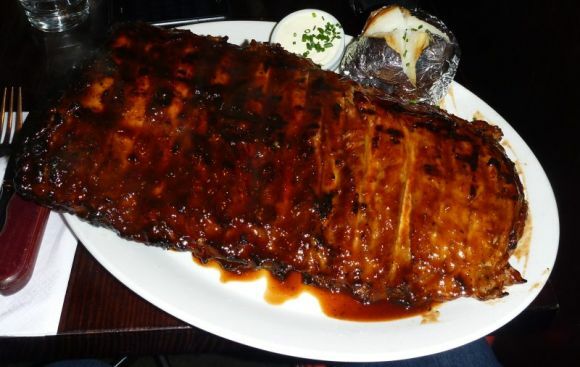 A rack even the Flintstones would be proud of!